Although I was born in Washington, DC and have spent most of my life in its Maryland suburbs, yesterday was my first time on the Goddard campus (aside from its Visitor Center, which I’ve been to many times), this despite having two family members and many friends who used to1 or do work there. I was excited! And I had a great reason for going: I was presenting a talk to the Astrophysics Science Division titled “Make your research software famous! (or at least discoverable).” The talk, broadcast on a NASA UStream channel and recorded for future viewing,2 covered a bit about our research on source code availability in astronomy, and also covered our current project to make NASA astro research software more discoverable, what the Astrophysics Source Code Library is and how it improves research transparency, software citation, and recent changes in publishing with regard to software that, combined with other changes in the community and science in general, make it easier than ever before to make one’s astro research software discoverable. The slides I presented are available for download (PDF), and links to different resources, journals, and organizations that I mentioned in the talk are also available. 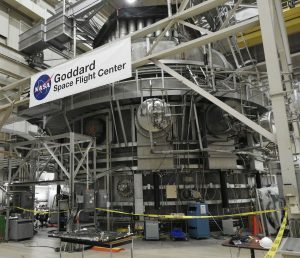 Kristin Rutkowski, along with Tess Jaffe and Alex Reustle, hosted my visit to GSFC; I had met both Kristin and Tess at last year’s ADASS conference in College Park, where we had our first conversation about my visiting the site to talk about the ASCL. Yesterday’s audience was great; they were involved and asked a lot of excellent questions, about copyright, code authors not receiving credit for the software they write, how we handle dead links, mutable author lists, NASA policies regarding software release, and how the ASCL is funded. Some of the questions came from people attending remotely and were asked online; Alex made sure these were covered, too. Alex is also involved in making the video of the talk available online, and when it is available, I’ll update this post with its link. Science science everywhere! 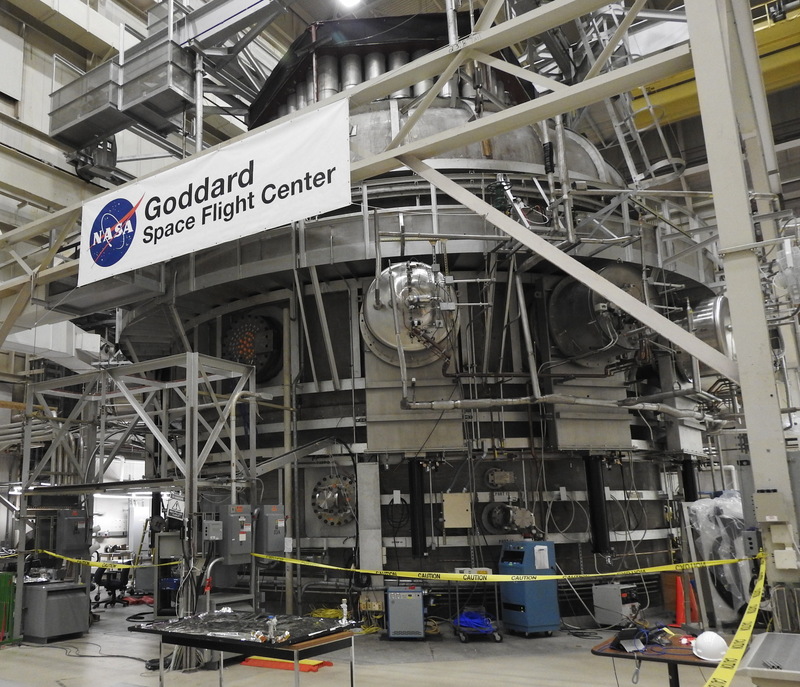 I had a great time at Goddard, and thank Alex and Tess and especially Kristin for hosting my visit! 1 Happy retirement day, Janie! 2 No, that’s not nerve-wracking at all, so long as one doesn’t think about it. This entry was posted in news, presentations on March 29, 2019 by Alice Allen. This entry was posted in presentations on March 28, 2019 by Alice Allen. URLs have often been used as proxy citations for software and data. We extracted URLs from one journal’s 2015 research articles, removed those from certain long-term reliable domains, and tested the remainder to determine what percentage of these URLs were accessible in September and October 2017. We repeated this test a year later to determine what percentage of these links were still accessible. We will present what we learned about URL accessibility in astronomy. This entry was posted in AAS, conferences, poster, presentations on January 9, 2019 by Alice Allen. Software is the most used instrument in astronomy, and organizations such as NASA and the Heidelberg Institute for Theoretical Physics (HITS) fund, develop, and release research software. NASA, for example, has created sites such as code.nasa.gov and software.nasa.gov to share its software with the world, but how easy is it to see what NASA has? Until recently, searching NASA’s Astrophysics Data System (ADS) for NASA’s astronomy software has not been fruitful; NASA has funded the Astrophysics Source Code Library (ASCL ascl.net) to improve the discoverability of these codes. The ASCL, now celebrating its 20th anniversary, is a free online registry of software used in astronomy research and is indexed by ADS, Web of Science, and other resources. Adding NASA and HITS astronomy research codes to the ASCL with appropriate tags enables finding this software easily not only in the ASCL but also in ADS and other services that index the ASCL. 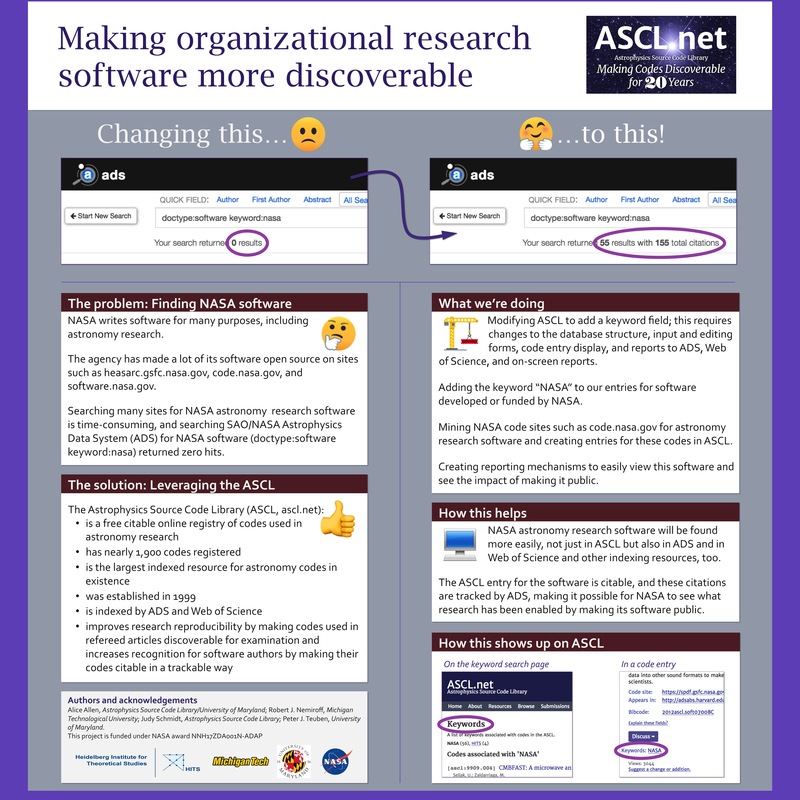 This poster presentation covers the changes the ASCL has made to enable discovery of NASA software in ADS and the results of this work. This entry was posted in AAS, conferences, poster, presentations on January 8, 2019 by Alice Allen. It’s that time of year again when software folks — users and authors alike — dream of all the software activities at the winter AAS meeting. So here is the ASCL’s (abbreviated*) annual round-up to jumpstart your dreams and warm your code-loving heart! If you have items you want added, please let me know in the comments below or send an email to editor@ascl.net. Thank you! All rooms are in the Washington State Convention Center unless otherwise specified. This entry was posted in AAS, conferences, news, presentations, special sessions on December 28, 2018 by Alice Allen. Astronomers use software for their research, but how many of the codes they use are available as source code? We examined a sample of 166 papers from 2015 for clearly identified software use, then searched for source code for the software packages mentioned in these research papers. We categorized the software to indicate whether source code is available for download and whether there are restrictions to accessing it, and if source code was not available, whether some other form of the software, such as a binary, was. Over 40% of the source code for the software used in our sample was not available for download. As URLs have often been used as proxy citations for software and data, we also extracted URLs from one journal’s 2015 research articles, removed those from certain long-term reliable domains, and tested the remainder to determine what percentage of these URLs were accessible in September and October, 2017. We repeated this test a year later to determine what percentage of these links were still accessible. 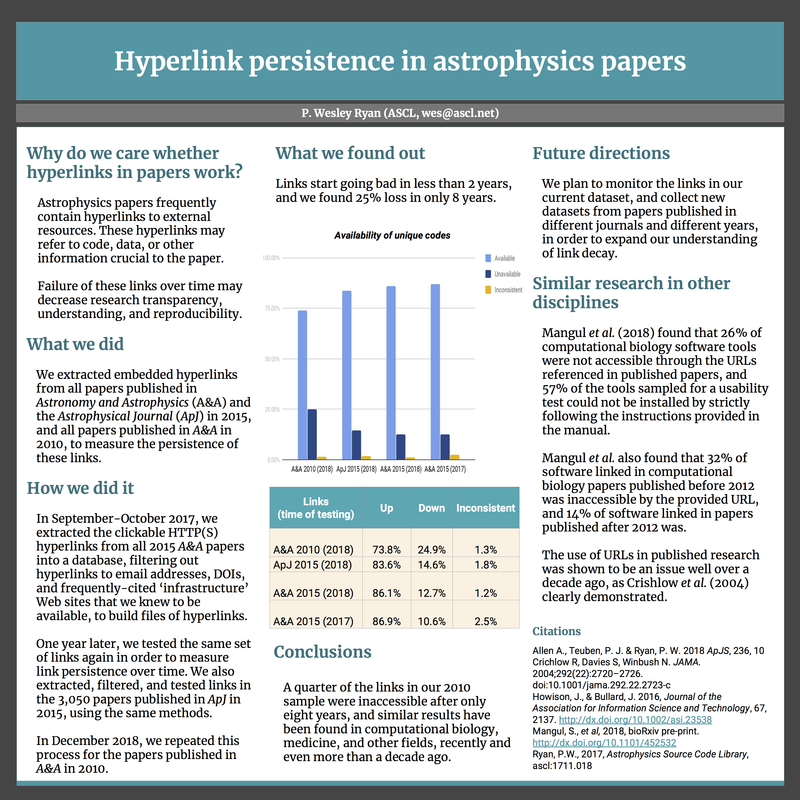 This poster will present what we learned about software availability and URL accessibility in astronomy. This entry was posted in ADASS, conferences, poster, presentations on November 16, 2018 by Alice Allen. I gave a seminar at the Centre de Recherche Astrophysique de Lyon on Friday, September 14, at the invitation of Mohammad Akhlaghi, a post-doc there. Mohammad is very interested and has done a lot of work on reproducibility, ensuring that his work is reproducible and developing a reproducibility framework that can be adopted by others. The seminar took place on CRAL’s lovely historic campus at the Observatoire de Lyon in Saint-Genis-Laval. The title, abstract, and link to the slides are below. Title: Make your code famous! (or at least discoverable). Abstract: Source codes are increasingly important for the advancement of science in general and astrophysics in particular. Journal articles detail the general logic behind new results and ideas, but often the source codes that enable these results remain hidden from public view. 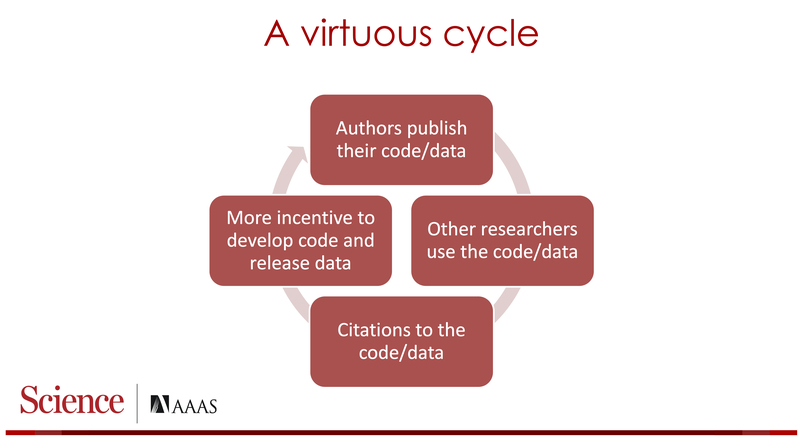 In this presentation, I will discuss our recent study on the availability of source codes used for published research and how this affects the transparency and reproducibility of astro research. I will cover what the Astrophysics Source Code Library (ASCL, ascl.net) is, how to submit software to the resource, and the benefits of doing so. I will share what happens after software is submitted, how ASCL entries are indexed by ADS, the links between literature and software entries, and how an ASCL ID can be used for citing your code. I will cover good and bad ways to cite software, avenues for publishing software, and how journals are changing to include and recognize the contribution software makes to our discipline. This entry was posted in presentations on September 14, 2018 by Alice Allen. Abstract: Astrophysics research relies on software and all robust science requires transparency and reproducibility, yet the computational methods used in our discipline are often not shared or are difficult to find. 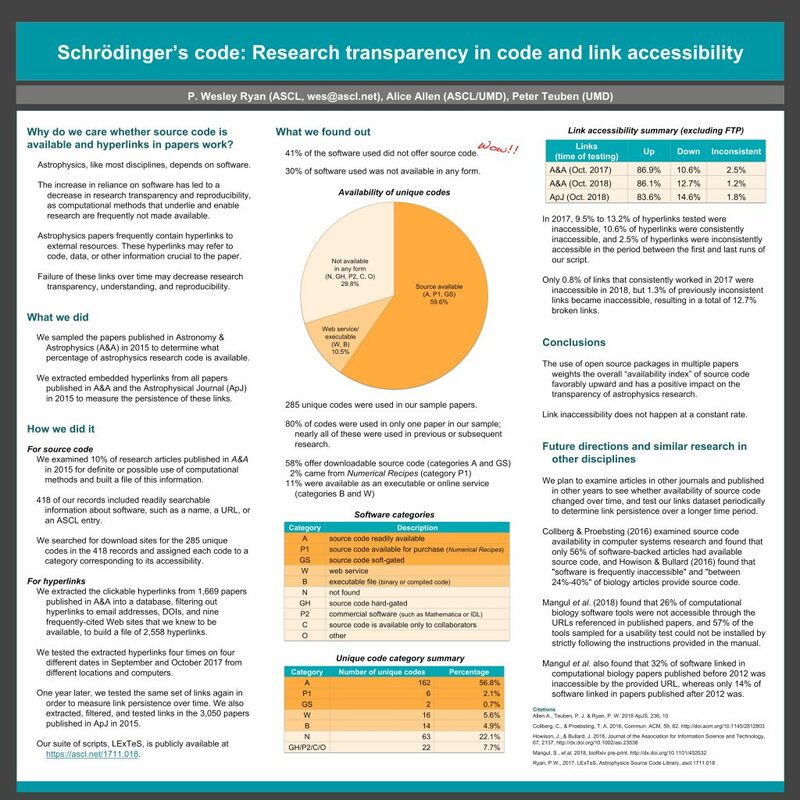 In recent preliminary research, 40% of the software used in the 2015 papers we examined did not offer source code and restricting the reproducibility of this research. The Astrophysics Source Code Library (ASCL. 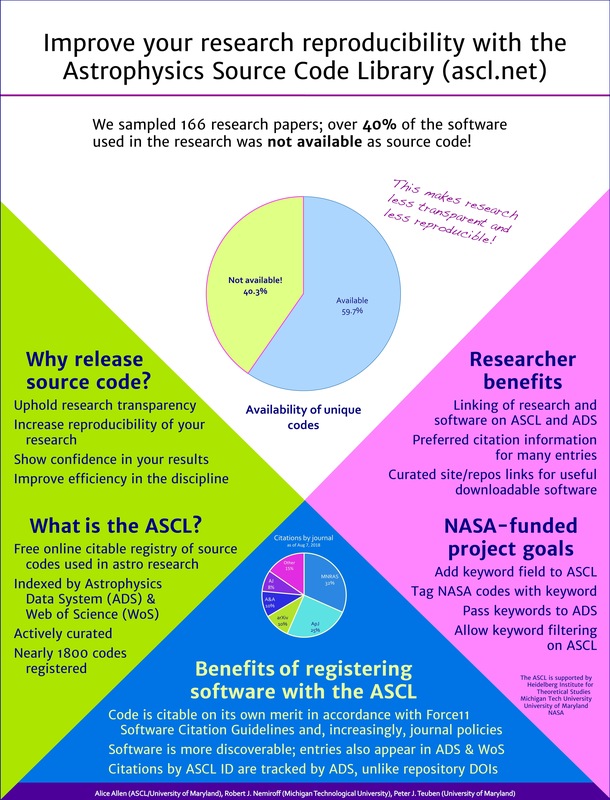 ascl.net) registers astrophysics research source codes that have been used in refereed research, benefiting the field in numerous ways, including increasing the discoverability of software and making the published research record more robust. With over 1,700 codes, the ASCL is the largest indexed resource for astronomy research codes in existence. This free online registry was established in 1999 and is indexed by ADS and Web of Science. ASCL registration allows your software to be cited on its own merits and provides a citation method that is trackable and accepted by all astronomy journals and journals such as Science and Nature. This presentation covers the benefits of registering astronomy research software with the ASCL, upcoming changes that will enable greater software discovery initially for NASA software and potentially for software funded by other organizations, changes to the ASCL and ADS that benefit researchers, and our research into software use in astronomy. This entry was posted in conferences, poster, presentations on August 23, 2018 by Alice Allen. This is the sixth in a series of posts on the six-session Software in Astronomy Symposium held on Wednesday and Thursday, April 3-4 at the 2018 EWASS/NAM meeting. 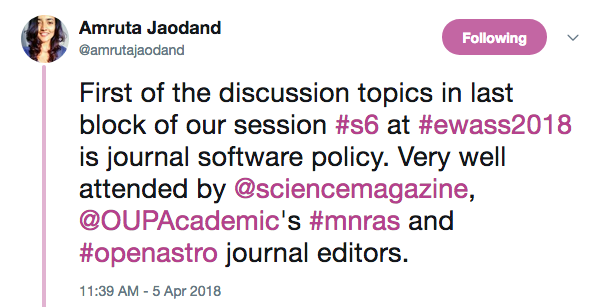 This meeting-within-a-meeting was an opportunity for journal editors, publishers, referees, abstract services, and others associated with research software publication to discuss how best to include research software in the scholarly record, improve the sustainability and reproducibility of research articles, and share information on issues and possible solutions. Representatives from Science, Nature-Springer, MNRAS, Oxford University Press, and AAS Journals were among the journals and publishers attending. As the session was open to all, researchers and software authors also attended. The agenda had three main items on it: journal software policies, ratings for numerical reproducibility, and improving instructions for authors and referees. The session was moderated by Rein Warmels (ESO, DE) and Alice Allen (ASCL, US). After introductions by all in the room, the first agenda item, journal policies on software, was opened for discussion. Keith Smith, associate editor for astronomy and planetary science for Science, shared that his journal is requiring that software that enables research results be shared. 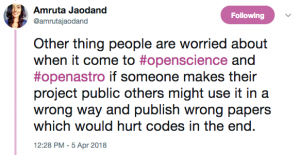 Editors from other journals stated that this would probably not work for them, though they are sympathetic to the importance of research software transparency. Chris Lintott, lead editor for Instrumentation, Software, Laboratory Astrophysics, and Data for AAS Journals, said that he rewrote the Journals’ software policies on his first day at the job to require formal citation of software. Smith pointed out the expectation is different for data; people are much more open about sharing observational data, and A&A (may) require it. Warmels noted a difference between data and software; the quality of observational data from an observatory is known. This is not the case with software. We cannot know the quality of the unreleased code. Amruta Jaodand asked whether publishing houses have software reviewers. 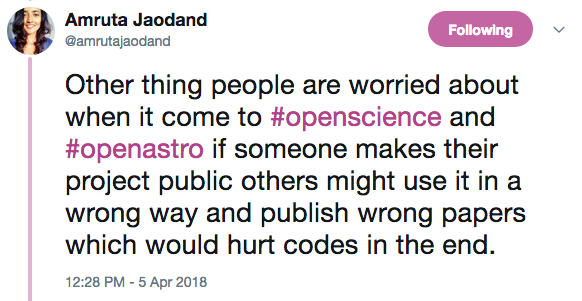 The various astronomical societies’ journals do not peer-review code; there are a few journals that do perform code review of various depths, such as the Journal of Open Source Software and Software X, both of which focus on research software across disciplines. There was support for better software citation, but not for ratings of articles for numerical reproducibility. 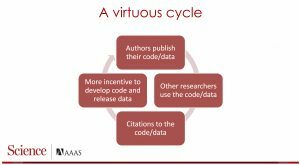 The idea of ratings for reproducibility led to a discussion about reproducibility itself and the issue of releasing software written for research. Adam Leary, senior publisher at Oxford University Press, said that the Journal of Biostatistics rates the reproducibility of its articles and that that journal has a reproducibility editor. The group discussed the workload this might put on reviewers along with other issues, which would slow down the review. But the real job would be for the authors! Brigitta Sipocz mentioned the need for a feedback loop, which triggered the question as to why one would want to put a lot of resources into reproducibility. Smith replied that there are cases in other sciences where whole bodies of work could not be reproduced! Warmels pointed out that a number of fake results were found by the community, not by reviewers. Someone suggested pushing the community toward releasing software through funding councils. Lintott initially liked the idea, and stated that journals could enforce this by checking papers against funding/funders that require release. Allen found this is an intriguing suggestion. Additional discussion raised several issues with this approach. The impracticality of implementing the idea became obvious when considering the time and resources it would take and the complexity of funding, as well as varied requirements of a large number of funding organizations. The discussion then turned to reasons researchers do not release their software, with one advantage stated as, “If you don’t give me this funding, this research will not be done.” We have to change the way we argue for funding, then… “because as the only person who can do this, keeping my code private IS an advantage.” Jaodand mentioned that researchers get less credit for software than for research results. Smith replied that until we build up a virtuous cycle of code release, something he had mentioned in his presentation the previous day, the answer may be getting the credit system working first. Another disincentive for code release mentioned was the possibility of someone running software incorrectly and then publishing “this code doesn’t work.” Lintott said that we should look for this and get data on it, so we can answer the question, “How often has this happened?” He also suggested looking for the positive cases, where release has been good for a developer or developer team, and provide this data to code authors. The next agenda item was improving instructions for authors and referees on software citation and treatment. According to Smith, Science’s instructions were improved by rewiting them to accord with the Center for Open Science‘s Transparency and Openness Promotion (TOP) Guidelines. The guidelines are very helpful, and using them provides clear instructions. Greg Schwartz, data editor for AAS Journals, asked how we could better encourage authors to read instructions. Smith waggishly replied these instructions exist so journal editors can point to them. It was suggested that journals standardize their instructions not only to help authors out but also to discourage what was referred to as “research tourism.” The TOP Guidelines were again brought up as a good tool to use for standardizing instructions. Someone asked about having a section for acknowledgements or statements for software. Smith pointed out the danger that some may think that section as a substitute for formal citation. Allen agreed that software should have formal citations, and also stated her appreciation for the Software section that AAS Journals have added to their papers. The ASCL has long been interested in seeing such a software listing in research articles (in addition to, not as a substitute for, formal citation of software). Warmels returned the discussion to the idea of standardization of instructions, asking whether this can be done. 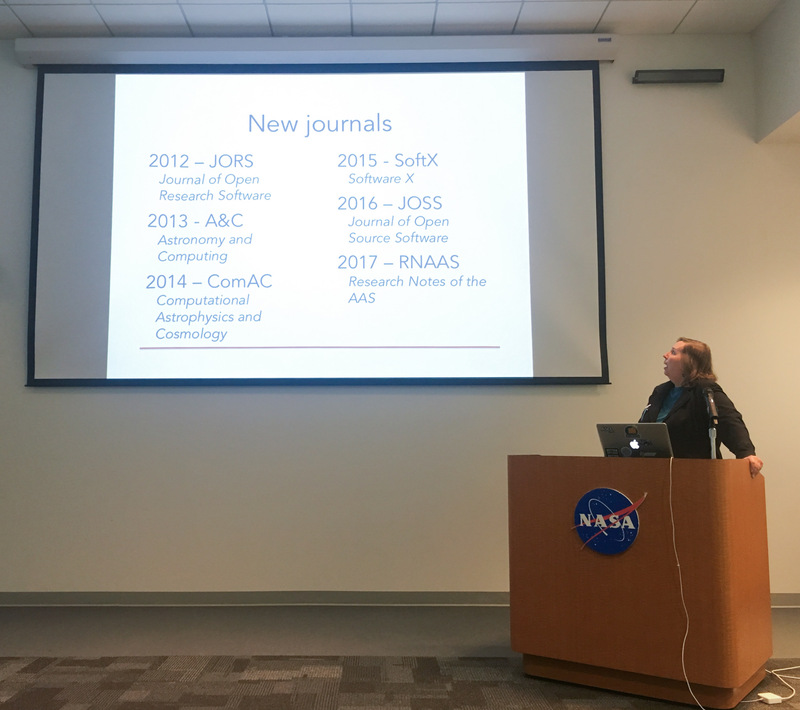 Journal representatives said the various journals do get together to standardize where they can, and are due to do so again. The discussion migrated to openness in general. Among the suggestions for moving the discipline to be more open were to “Advertise your openness!” and to include a slide in your presentations that say your work is open and reproducible; this lets your peers know that you value openness, and can help others think about working more openly. The point was made to not rely on policing for open practices as resources aren’t available to do so. The role of education was brought up, too: Researchers need to be taught how to make their data and software open. The final agenda item was to decide whether an on-going software publishing special interest group might be welcomed by those in the room; there was no support for this. Journals already have a method to share information amongst themselves and everyone is oversubscribed to meetings, groups, and conference calls. With that item settled, the meeting and Software in Astronomy Symposium concluded. The ASCL thanks the Heidelberg Institute for Theoretical Studies for its generous ongoing support, which permitted two participants in this symposium to attend the EWASS/NAM meeting who would not have been able to do so without it. This entry was posted in conferences, EWASS, news, people, presentations, special sessions on May 30, 2018 by Alice Allen. Page rendered in 0.511 seconds. Blog powered by WordPress.